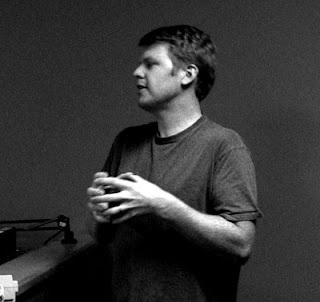 Travis Hathaway – Travis came on around the time finding Nemo and has become one of Pixars best animators. He did some of the best stuff on Ratatouille and is a great teacher. He and I ran the Pixar intern program last year. I am really happy that he wants to post on Spline Doctors. Michal Makarewicz – Michal started on Incredibles. He then did some really great work on Cars and most recently Ratatouille and Wall E. He won an Annie award for his work on Ratatouille. He was one of my best students at the academy of art in San Francisco. I am looking forward to reading some of his posts. New Site Coming soon. We have a redesigned web site that is being done by Ben Lew. Its looking good. We may even get sponsored by someone. Anyway, hopefully it will be easier to find old posts and have a better overall look. Suggestions will be welcome. We will go live within a month. I am going to get the ball rolling again with a fresh batch. Hopefully the next big one will be with Doug Sweetland. Its been a while since we have done any podcasts. In the next few days I’ll post some or all of an interview I did with former Pixar veteran animator John Kahrs. The interview is focused mainly on polish. Its super ghetto quality, recorded directly on an ipod. Look for it soon! Sorry for the time its taking. We don’t have any fancy sponsors…. Sorry its been a while since our last post. Ratatouille is finishing up. Animation has wrapped and we are all taking a breather. Adam and I are planning to do some more Animation Roundtables as well as some new Spline Casts… Stay tuned. As for other stuff going on, I will be teaching an animation workshop at a school in Italy on June 15th. The class will focus on all kinds of Animation Techniques including acting, design, facial animation, blocking and planning and so on. I am also going to be Guest Artist at CSU summer Arts program for the 5th time. The class is Character Development for Animation. CSU Summer Arts is a great program. Check it out. I will be attending Annecy Animation festival. I am set to give a short talk on the subject of animation on Ratatouille. It will be for the Renderman group. Keep your eyes open for some new posts and upcoming podcasts.